A jam packed episode of the show as we are joined by 4 guests. We kick things off with James Gallagher (@StrabanimalMMA) who will take on Chinzo Machida on June 24 at Madison Square Garden as part of Bellator 180. James talks about the fight, has some words for AJ McKee and Aaron Pico as well. 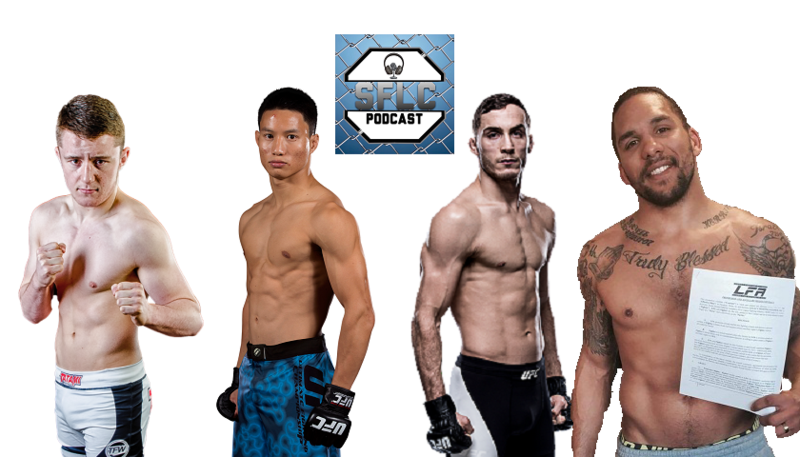 Ben Nguyen (@Ben10MMA)joins us to talk about his big win over Tim Elliott, what is next, the flyweight division and his thoughts on Mayweather vs. McGregor. Tony Martin (@TMartinMMA) comes on to talk about his upcoming fight with Johnny Case at UFC Fight Night in OKC on June 25. He also weighs in on Mayweather-McGregor. Eryk Anders (@erykanders) wraps it up to discuss his fight on June 23 against Brendan Allen for the vacant LFA middleweight title in the main event at LFA 14. Ryan Sprague then joins as we wrap up with reactions to the mega fight being made official on Aug 26.